The oldest general museum in Asia, the Indian Museum in Kolkata, founded in 1814, is providing some 80 precious works of Indian Buddhist art for display in Japan. These treasures will lead you through the history of Buddhist art in India, where Buddhism was born. This exhibition takes the queens of ancient Egypt, the most famous of whom is Cleopatra, as its theme. 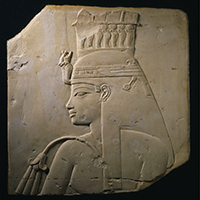 These queens not only supported reigning pharaohs as mothers, wives, and daughters, but also played significant roles in politics and religion. Their magnificence will be conveyed though masterpieces of ancient Egypt from a number of renowned museums around the world. 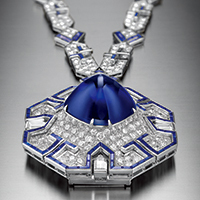 Bulgari is the Italian world class high jeweler brand with over 130 years of history. This exclusive exhibition will highlight jewelies and watches that defined a pivotal period in Italian design. About 2,200 years ago, Qin Shi Huang succeeded in unifying China and became its First Emperor. His legacy is preserved in a vast terracotta army, the discovery of which is considered the greatest archeological find of the 20th century, and which continues to arouse wonder and provide new knowledge. With assistance from institutions such as the Shaanxi Cultural Heritage Promotion Center, this exhibition brings together artifacts with connections to the First Emperor while exploring the “everlasting world” of his terracotta army and its mysteries. 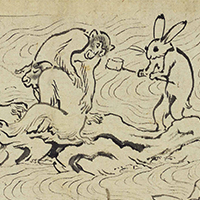 Segment from Poetry AnthologyKnown as "Akihagi-jo"